Dolce is a famous ice cream and gelateria with their original shop on Ikuchijima. 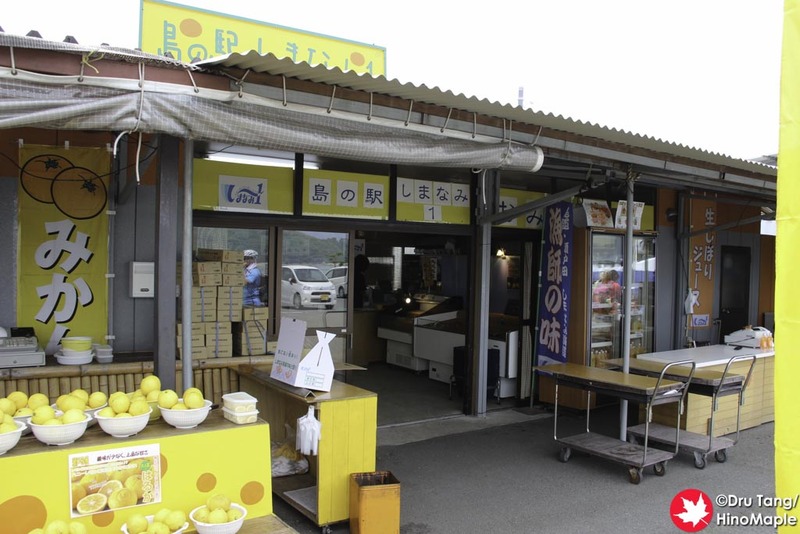 You can find Dolce’s ice cream all over the Ikuchijima as well as in Matsuyama. I didn’t know too much about this company but I wanted to stop at their shop while I was on Ikuchijima. When I got there, my plans changed and I ended up not going to Dolce’s shop, but I did end up enjoying the area. 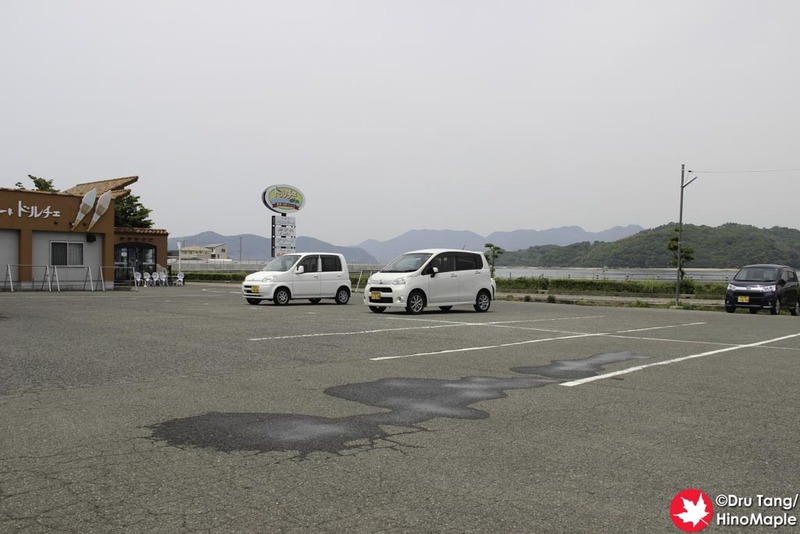 The Dolce parking lot is actually part of a “Michi no Eki”, rather “Shima no Eki”. These are little rest stops, or roadside attractions, where you can get out of your car, relax, and check out the local foods. The street stop, Shimanami 1, was really cool with a few local treats. There are lots of local items for sale but the main thing to get is the juice. 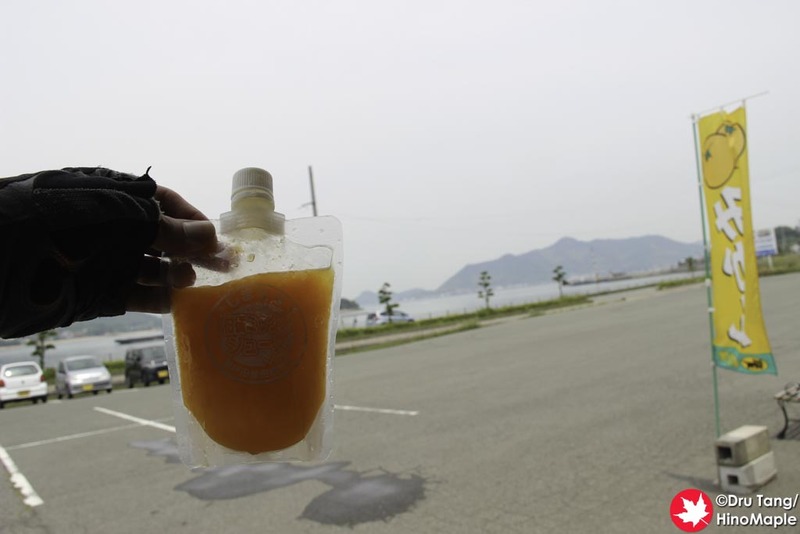 I’m not sure if they have it all the time, but when I went, they had frozen mikan juice. When you buy it, you can have it in two forms, one is completely frozen, and one is semi thawed. It takes an hour or so for it to thaw enough to drink and when it thaws it is like a sherbet. I have to say that after cycling for the morning and early afternoon, this sherbet was a delight and a great pick me up. The only thing you have to worry about when visiting this place is when the tour bus arrives. They usually stop right in front of Shimanami 1 and as I was just preparing to leave, a bus pulled up full of old people. They all filed out, but trying to get out of the area was a little difficult as the bus just filled up the entire front of the Shima no Eki. If you are going to enjoy a little gelato at the same time, be sure to time it so that there are no buses stopping at the same time, otherwise you’ll hear the gaggle of obachan laughing away. I thankfully got out of there as they were arriving so I limited myself to just a few minutes of noise before I was back into the peace that is the Seto Inland Sea. 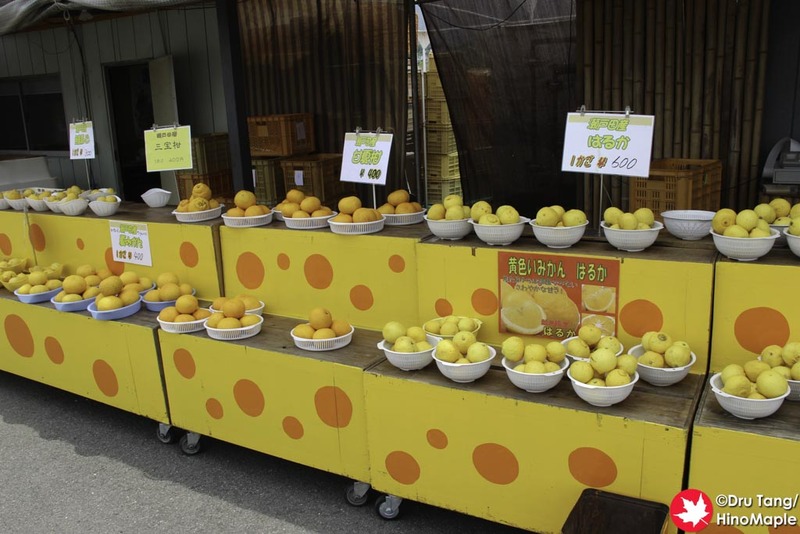 This entry was posted in Chugoku Food and tagged Doce, Ikuchijima, japan, Juice, Michi no Eki, Mikan, Mikan Juice, Orange, Shima no Eki, Shimanami, Shimanami 1, Shimanami Kaido, Shimanamikaido by Dru. Bookmark the permalink.